Seattle startup Vu1 Corporation plans to launch a new type of light bulb that functions like a TV tube. Contrary to what you’d think, the technology is amazingly environmentally friendly. Vu1(View One) has raised $13 million to develop a brand new technology by fusing three existing technologies. “It is not induction lighting. It is not plasma. It is not fluorescent. It is not halogen. It is not LED,” said Ron Davis, the chief marketing officer in an interview with Greentech Media. So what is it? It’s an ultra energy-efficient flood light which is reminiscent of the way old TV tubes worked with the only difference being that the light bulb lights a room much better. The light bulb is comprised of an integrated electron source which fires electrons attached to a phosphor-coated glass. The phosphor, upon contact, transforms the signals into bright light. The product that emerged from this three-way process is a 17-watt bulb for recessed light cans; the type of lights you use in kitchens and living rooms. The company has named its technology Electron Stimulated Luminescence (ESL). ESL’s major attraction is that it is mercury-free and hugely energy conserving. The bulb is unique on the American market and emits 40 lumens per watt. That’s the equivalent of a 65-watt incandescent bulb. 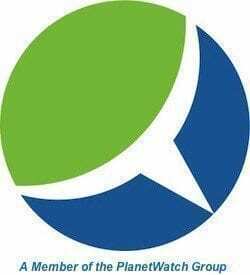 Vu1 says its product will hit the stores on Earth Day 2009 and the price tag is about the same as a 65-watt dimmable incandescent lamp and lower than the price of indoor Light Emitting Diode (LED) bulbs, which are in the range of $80 to $140. The fitting of Vu1’s bulb is the same as those of ordinary light bulbs. 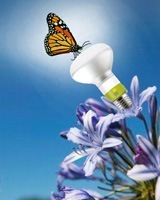 Another amazing feature of this new light bulb is its life span; one bulb lasts an estimated 6,000 hours. Much longer than an incandescent and slightly less than the more expensive Compact Florescent Light Bulb (CFL). Heat generated by an ESL bulb is half that of an incandescent. Vu1’s closest U.S. competitor is the plasma light invention launched by Eden Park Illumination, another startup, which also is mercury free. The Eden Park lamps, available around the globe, convert a gas to light the same way a plasma TV works. Other truly environmentally friendly lamps are those that make use of Organic Light Emitting Diodes (OLEDs). But, like LEDs, these types of light bulbs are pricey and not too reliable as yet. The main reason why inventions like the one of Vu1 and Eden Park’s are so important is that their lamps don’t use free floating gas inside the bulb to generate light. The gas in a fluorescent and many other bulbs contains mercury and if the lamp breaks this gas is extremely hazardous for people’s health and the environment.